A dry track and under a heavy overcast, the three-time world champion Lewis Hamilton took pole position in the Malaysian GP. Q1 started as a total chaos for Sebastian Vettel as he went off the field due to a turbo failure. It was sad to see the Ferrari driver pitting in without setting a lap time. Hamilton lead Q1 ahead of Max Verstappen — who celebrates his 20th birthday today — and following him was another Silver Arrows driver Valtteri Bottas. Multiple winner at Sepang, Fernando Alonso managed to take his struggling Honda to Q2. The highlight of the day was Pierre Gasly who marked his debut for Toro Rosso and also made it to Q2. 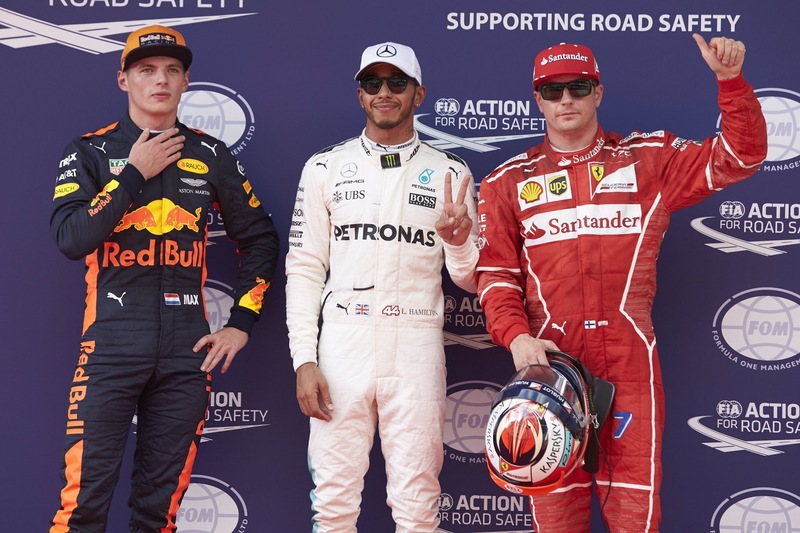 This time around it was the Finnish Valtteri Bottas topping the timing sheets in Q2 while fellow Finn Kimi Räikkönen closely followed him in second, with the young Max Verstappen in third. Q3 had Lewis Hamilton on the super softs, setting a lap time of 1 minute 30.076 seconds around the Sepang circuit, which meant smashing his own track record of one minute 32.850 seconds set in 2016. Post his timing, on the second run Kimi Räikkönen put his best to close the gap but it wasn’t enough for him to stop the Brit form taking the pole. It was Max Verstappen piloting his Red Bull in third. With this Hamilton makes it four in a row at Sepang. Stay tuned for more race updates.